Many are aware of the importance of supporting Australian business, with evidence highlighting the fact that a significant number of Australians prefer to buy locally made products. Buying Australian Made and Owned secures employment opportunities within the local community as well as helping to maintain a high standard of quality made products. 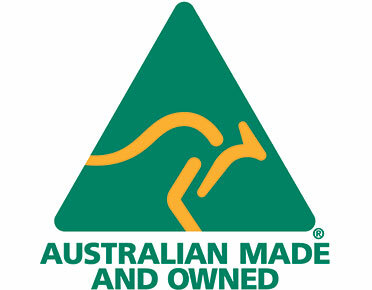 A study conducted by Roy Morgan (2013) highlights that 98% of Australians instantly recognise the Australian Made logo, and 89% trust this logo as proof of genuine Aussie products. However, “Many companies and retailers are marketing their products with a veneer of ‘Australian-ness’, which can be misleading. Well known terminology and imagery, coupled with claims such as ‘Australian owned’, ‘classic Australian’ and so on, give the impression the product is made here when in fact it may be fully imported” (Australian Made Campaign Chief Executive, Ian Harrison). Due to the marketing benefits for companies claiming to be “Australian”, or “Proudly Australian”, deciphering whether or not a product is in fact Australian Made and Owned can be extremely difficult and leave the consumer guessing whether they have made the right choice. A genuine Australian manufacturer buys its raw materials from local suppliers, some of whom may even import that product. The materials are cut, sewn, welded, pressed, packaged, shrink wrapped and more by Australian workers, to produce Australian Made Products. Global Spill Control has been providing Australian Made and Owned environmental products of the highest quality since 1991. We have offices in Melbourne (VIC), Sydney (NSW), Tuggerah (NSW), Brisbane (QLD), Townsville (QLD), Adelaide (SA), Burnie (TAS) and Perth (WA), and a large network of distributors and resellers throughout Australia and New Zealand. 120% more people are employed because our company chooses to be an Australian manufacturer and not an importer. By supporting “Australian Made” and “Made in Australia” companies, like Global Spill Control, you are helping to provide job opportunities to Australians.